Carlton Court’s stunning array of lavishly furnished serviced apartments are the perfect choice for a family, a couple or a single traveler. Our unrivalled location, friendly attitude and willingness to go the extra mile makes us the ultimate accommodation choice in London. We offer our beautiful properties for either a short term stay or a long term depending on your needs. Our apartments are a wonderful alternative to a hotel in terms of space, freedom and price. When staying at Carlton Court, you will be pampered and made to feel special from the day you arrive until the day you leave. As soon as you arrive, you will be greeted with a Welcome Pack consisting of fresh fruit, vibrant flowers, chocolates and drinks, etc. With the welcome pack, we aim to immediately make you feel settled and comfortable in our vacation rentals in London England. Carlton Court’s unmatched hospitality is something special. To make your London stay as convenient and stress-free as possible, we take on the responsibility of looking after your every need. Since each of our properties is managed on-site, you will always find someone at the reception willing to take care of all your requirements. From arranging tickets for an event or reserving a table at the best restaurant, we can arrange it all for you. When you stay with us, all you have to do is sit back and relax. Staying in any one of our serviced apartments is like staying in a 5-star hotel. Our maid service is available 7 days a week so that you do not have to worry about cleaning or tidying up the apartment. 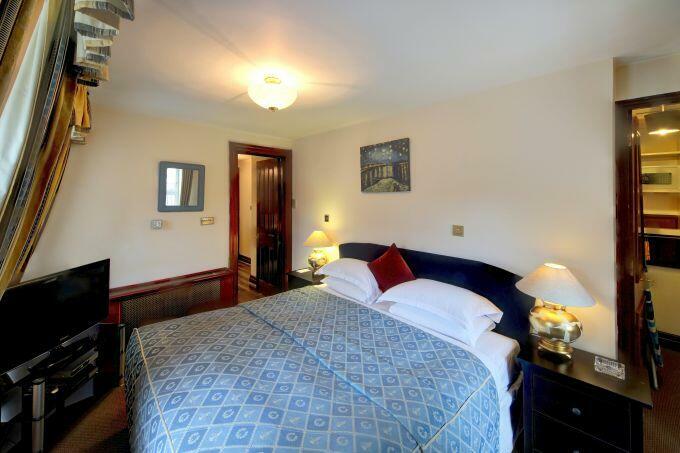 To make the most of your London stay, choose Carlton Court. We will guarantee you have a fantastic time in London.